Learn why and how to save Windows 10 file backup to network drive from this article. Synchronize files/folders automatically with a schedule or real-time sync to target. Clone a disk to another larger or advanced one to upgrade disk level. Before making Windows 10 file backup to network drive, some people are still not familiar with this item. What is a network drive exactly? Well, a network drive is a storage device on a local access network (LAN) within a business or home. Within a business, the network drive is usually located on a server or a network-attached storage (NAS) device. In a home, the network drive may be located on a dedicated server, an NAS device, an external hard drive or one of the networked computers. If the drive is on one of the networked computers, other users will not be able to access the drive when that computer is turned off. A network drive on a home LAN makes it easier to store and share files without using up computer resources. If the drive has enough capacity, it can be used to back up all the computers on the network too. Besides, network hard drives are at less risk of damage from dropping or other accidents. By this token, saving Windows 10 file backup to network drive could be a good choice. Then, how? Encryption, schedule backup, incremental backup, etc are all considerations taken into account when you look for an ideal backup software. To meet these demands, AOMEI Backupper is definitely worth try. It’s an all-in-one backup and recovery software equipped with many advanced features that not only realizes Windows 10 backup to network drive, making things easier and faster for users even you’re not a computer expert. Make sure the network drive shows in File Explorer. 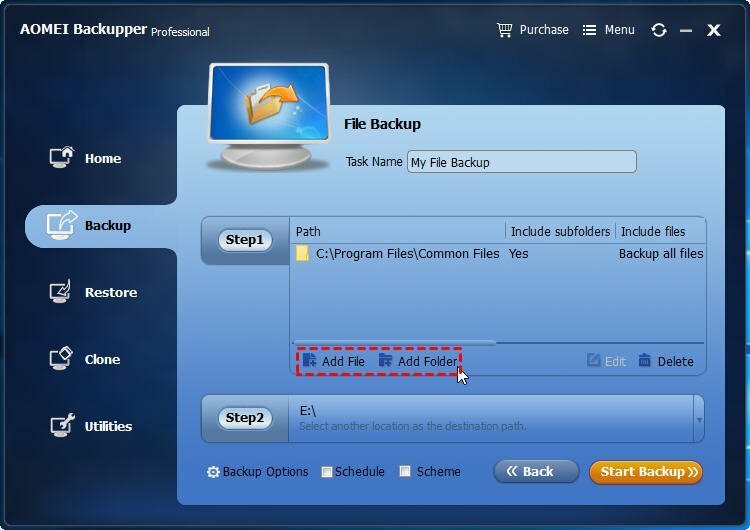 As it also has a drive letter, backing up files to network drive with AOMEI Backupper is the same as to local device. 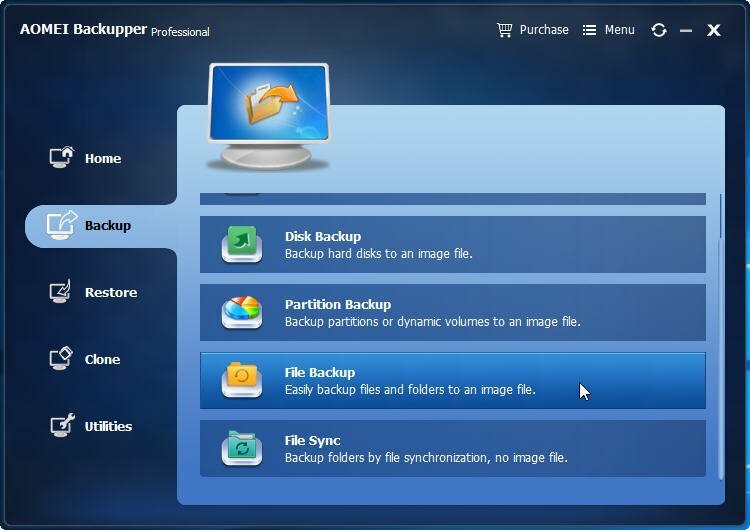 Launch the software and select “File Backup”. Choose files/folders you need to backup. Then select your network drive as the destination path. It enables you to backup to NAS as well. You may set some backup options such as compression or schedule from buttons on the bottom. Afterwards, click “Start Backup” to execute. 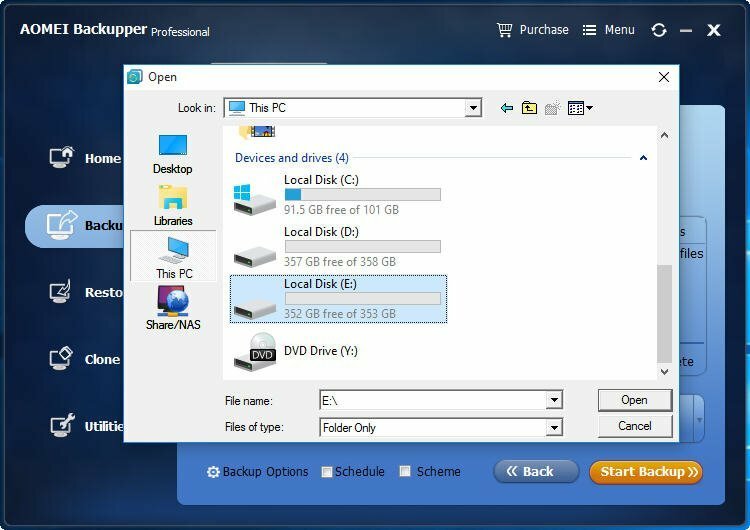 Above is how to make Windows 10 file backup to network drive via AOMEI Backupper. With this tool, you can also do system clone, image restoration and so on.